Ahead of the forthcoming election, the Indigenous People of Biafra, on Friday revealed how Nnamdi Kanu stopped South East governors from rigging election in favour of President Muhammadu Buhari. IPOB alleged that the South East governors planned to use the election boycott to rig the election in favour of Buhari but their plan did not fall through Kanu suspended the election boycott. 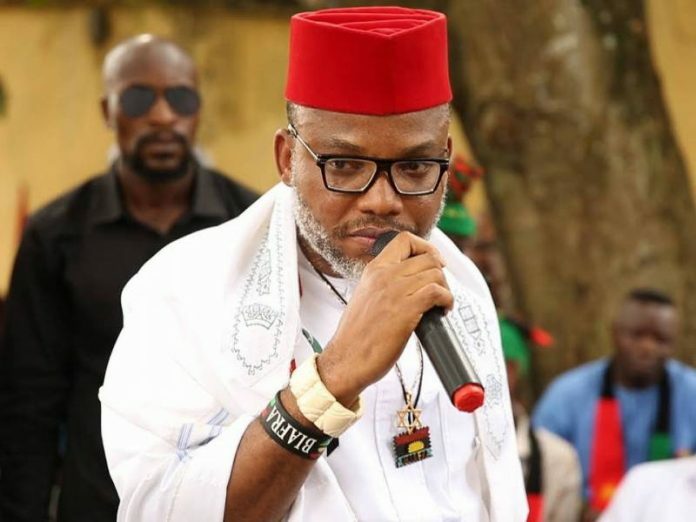 In a statement signed by its spokesperson, Emma Power, the secessionist group claimed that “Igbo governors” are unhappy with Kanu for lifting the ban and has ordered a clampdown on its members. “We the Indigenous People of Biafra (IPOB) and it’s leadership worldwide consider it imperative to put the civilized world on notice concerning the incessant harassment, abduction, arrest and torture including house to house search for innocent and unarmed civilians in Aguata, Orumba North and South Local Government Areas of Anambra State and other states like Abia and Ebonyi where their governors have continued to use the authority of their office against anybody seen or regarded as an IPOB family member or sympathiser. “Since our leader, Mazi Nnamdi Kanu lifted the ban on election boycott on Thursday night in the whole of Biafraland, Willie Obiano of Anambra State and other Igbo states governors subservient to Fulani caliphate and beholden to Jubril-Buhari have intensified their clampdown on IPOB through illegal midnight raids and kidnapping. “His associates should caution him about the inevitable consequences of tampering with innocent law-abiding families in Anambra State because when we start with him, let his hired praise singers not say they were not warned in advance.